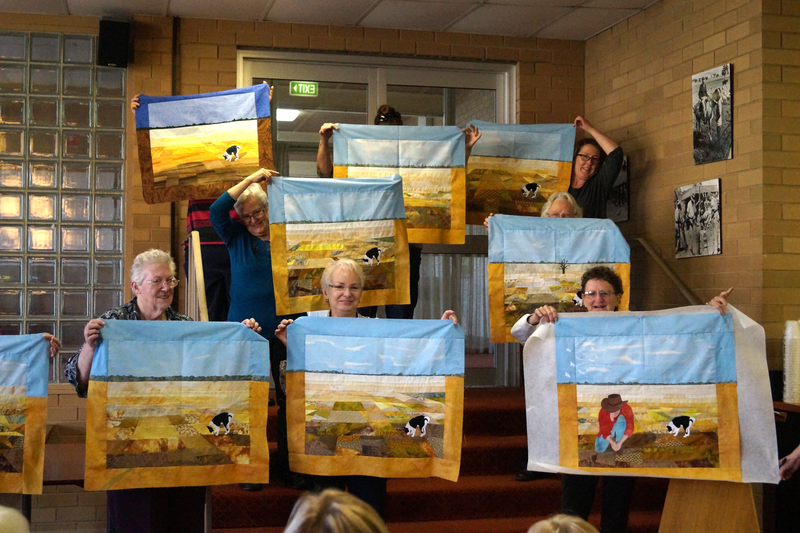 Last weekend I had a wonderful time at the annual Dookie Quilting weekend in North East Victoria. Here is my group of lovely ladies who worked their fingers to the bone on ‘Cameron’s Drought’! Next year this event will be held in Wangaratta. Thankyou Wangaratta Centre Quilters for having me. P.S. Sorry Michelle, we cut you off! !